Automobile soundproofing means reducing irritating noises and improving the sound quality inside your car. While it isn’t possible to have a completely soundproof vehicle, there are ways to dampen, or reduce, annoying noises and enhance the sound system. Outside noise gets in through the trunk, hood, doors, panels, license plates and tail lights. These areas let unwanted noise leak into your car, and they all can be controlled if you have the right car soundproofing materials. Even if you have no idea how to soundproof a car, you can create a smooth, luxury-car-like ride with a little time and effort. The truth is, soundproofing a car is a lot easier than you might realize. It’s a lot less involved than soundproofing an apartment or an office, for example. All that’s required for car soundproofing is the right dampening materials, also known as sound deadening products. Dampening barriers, coatings and deadening material can be applied to the various parts of your car to prevent outside noise from coming in. Soundproofing can also make the noise you want, like your stereo and your in-car conversation, more clear and crisp. It can make an incredible difference in the quality of your ride every time you take the car out for a spin. There are two main types of car noise that most drivers will have to contend with. One is road noise. This is the noise you encounter from the environment as you’re driving. Honking cars, construction work, sirens, radios — these can all contribute to road noise. You can escape road noise by driving in quieter areas, but this isn’t always feasible. The other main type of car noise comes from the engine. While you should listen to your car for sounds that it shouldn’t be making, some regular engine noise is standard, and if you have a particularly loud engine, it can get very frustrating, as this is noise that you cannot escape. It goes wherever you go. Your car may have a very quiet engine but be poorly insulated against external road noise. Or, you may be well-protected from external noise but have a loud engine. Whether you have either of these problems or both, there are car soundproofing solutions you can implement. The key to soundproofing your car is putting sound deadening materials in the right places to reduce vibration and sound leakage into and out of the car. The first step is choosing the materials you want to use. It’s up to you how much to use, and you may need more than one type of material to get the results you want. It’s most important to choose quality materials that won’t damage any part of your car. Climate: Do you live somewhere where it gets bitterly cold or scorching hot? Take this into consideration when selecting car soundproofing products, so you pick materials that perform well in various conditions. Sound system power: Do you have amplifiers for your car speakers? How powerful are your speakers? Think about your speakers’ root mean square (RMS) which measures the output of continuous power a speaker can handle. Speakers with higher RMS ratings produce louder, cleaner music and should be a factor in the material you choose. The greater power your speakers have, the more extreme material you’ll need to handle it. Car size: The amount of material you choose also depends on the size of your car. A small car like a hatchback will require fewer materials than an SUV, for example. Remove panels and other components: Pop off door panels, take out the seats and remove any other parts where you want to install soundproofing products. Measure and cut: Measure door panels, the floor and other areas that need to be prepped, and cut the insulating or sound deadening materials to fit those measurements. Clean the metal: Use acetone to clean the car’s metal surfaces and make sure they are free of oil or grease. This helps ensure soundproofing materials properly adhere. Apply adhesive: Although it may not be necessary depending on the material you choose, you may need to apply adhesive to the metal surface before installing the sound deadening material. 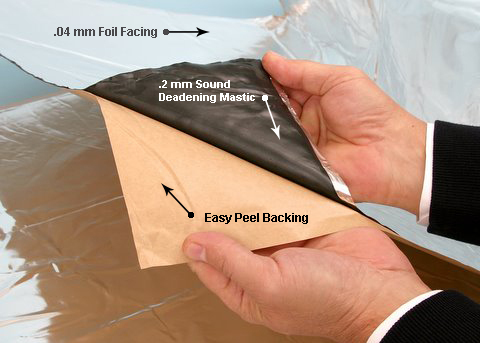 Some soundproofing materials have a peel-and-stick backing for easy installation. 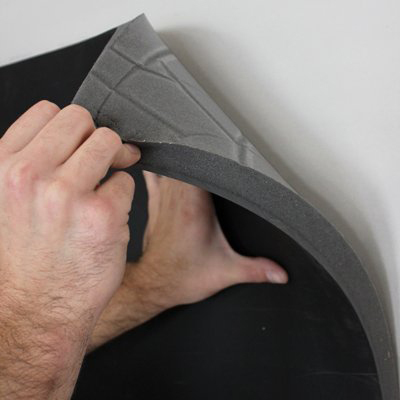 Install soundproofing materials: Firmly press the soundproofing material in place. For example, you might install a dampening mat between door panels to reduce vibrations, or inside the engine compartment. Consider using a hairdryer to heat the material and improve adherence. Smooth out bumps: Using a roller, roll out any bumps or air bubbles. Do this as many times as needed until the surface is smooth. Fill in gaps: Look for any spaces around panels or between materials and apply soundproofing or insulating spray foam. Allow time for drying: Wait for the materials to dry completely before replacing car components. Piece it all together: Replace the carpet, seats, dashboard, panels or any other parts removed and get ready to enjoy a peaceful ride. Soundproofing often combines sound deadening and sound absorbing materials for quality results. A sound deadening material may reduce or absorb unwanted sound, while a sound absorbing material’s main job is to absorb the energy from sound waves and turn it into small amounts of heat. 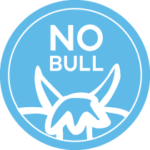 We’ll show you the best car soundproofing materials we offer at Soundproof Cow to help you moove toward a decision. Fiberglass composites: Fiberglass composites combine a fiberglass blanket with a soundproofing material and polyester film cover. Fiberglass composites make an excellent choice if you want to reduce noise and install insulation in your car for greater comfort. 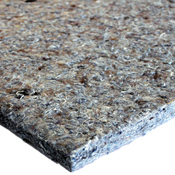 Check out our Quiet Barrier™ Fiberglass Composite which uses our high-grade soundproofing Quiet Barrier™ material. 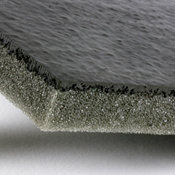 Foam composites: Foam composites include at least one layer of Quiet Barrier™ soundproofing material and a layer of acoustic-grade polyurethane foam. The Quiet Barrier™ works as a powerful sound blocker while the foam layer absorbs sound and enhances the blocker. 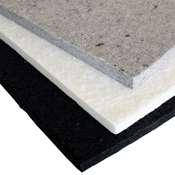 You can use foam composites just about anywhere suitable for insulating foam. Mass loaded vinyl barriers: Mass loaded vinyl (MLV) barriers are as tough as they sound. An MLV barrier is composed of salts, sands and small metal particles. An MLV soundproofing material adds mass to block sound waves. You might install MLV barriers between door panels to keep noise out and keep your music in. MLV does not absorb sound, so even though it’s effective on its own, it works even better when combined with other soundproofing materials. Temporary barriers: Temporary barriers are acoustic quilts you can hang or lay down anywhere you need a fast soundproofing solution. Composed of fiberglass and a nonporous vinyl covering, temporary barriers are high-performers when it comes to absorbing sound. You might place a temporary barrier in the trunk for example, or anywhere you want temporary, installation-free soundproofing. Our Quiet Barrier™ Specialty Composite includes four layers of soundproofing material for superior noise protection. 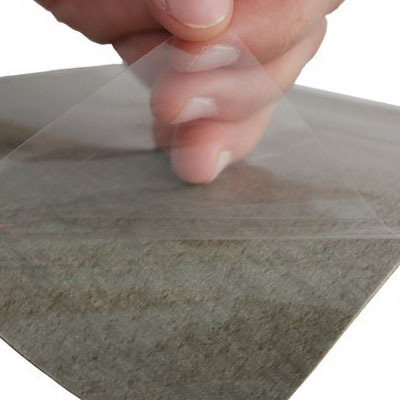 The top polyester film layer resists heat, tearing and high-frequencies, and it’s a piece of cake to clean. The next layer underneath is a thick foam that absorbs noise at all frequency levels. The third layer is a pound of Quiet Barrier™ LD soundproofing material which functions as a tough sound blocker. Finally, the fourth foam layer keeps the barrier from the mounting surface for maximum noise and vibration reduction. You can use Quiet Barrier™ Specialty Composite just about anywhere, including under the hood or in the trunk. It’s designed to block the loudest sounds and is highly durable in extreme weather conditions. If you want ultra easy installation, consider Quiet Barrier™ Specialty Composite with peel-and-stick pressure sensitive adhesive (PSA) backing. With the Quiet Barrier™ Specialty Composite with PSA, you only need to peel off the backing and stick it firmly in place. If you live in an extreme climate, you might consider Quiet Barrier™ Specialty Composite an excellent soundproofing choice for your car. Our Quiet Barrier™ HD soundproofing composite contains a thick, two-pound layer of Quiet Barrier™. Combined with one inch of acoustic foam, the Quiet Barrier™ HD soundproofing composite offers noise protection in two ways. First, the barrier layer adds dense mass to effectively block noise. The polyurethane foam layer also adds mass to block noise and keeps the barrier separate from the mounting surface to boost its soundproofing abilities. As a whole, the Quiet Barrier™ HD soundproofing composite provides outstanding protection against vibrational sounds and unwanted noise. You can easily install Quiet Barrier™ HD in the trunk or under the carpet. 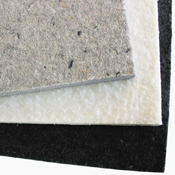 Choose Quiet Barrier HD™ soundproofing composite with PSA for simple peel-and-stick installation. If you’re looking for high-quality soundproofing composite that falls somewhere in between Quiet Barrier™ Specialty Composite and Quiet Barrier™ HD composite in terms of thickness, you might choose Quiet Barrier™ MD soundproofing composite. Quiet Barrier MD soundproofing composite is a medium-density soundproofing material containing a one-pound layer of Quiet Barrier™ and one inch of acoustic polyurethane foam. Quiet Barrier™ MD might be the perfect car soundproofing material for tighter spaces where you want sound control. 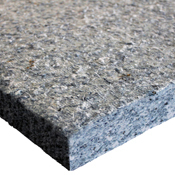 We also offer Quiet Barrier™ MD soundproofing composite with PSA for fast and simple installation. 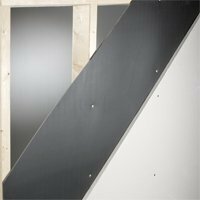 For a lightweight, economical solution with high soundproofing power, try our Quality Barrier™ LD soundproofing composite. Quality Barrier™ LD composite is thinner and lighter than the other Quiet Barrier™ soundproofing composites, offering extreme flexibility. You can place Quiet Barrier™ LD soundproofing composite anywhere you need to block sound and reduce vibration, including tight or awkward spaces in your car. 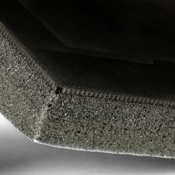 Quiet Barrier™ LD combines a half-pound layer of Quiet Barrier™ with a half inch of acoustic foam. Its thin and flexible composition also makes it easy to cut, providing greater opportunity to use it anywhere. For a stick in place application, check out our Quiet Barrier™ LD soundproofing composite with PSA. Just as the name implies, Silent Running SR-500 soundproofing coating will increase the sweet sound of silence in your ride. 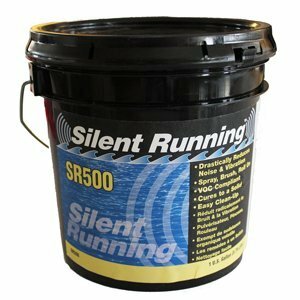 Silent Running SR-500 is a high-performance coating specially designed to absorb noise and vibrations. One gallon of Silent Running SR-500 covers about 40 square feet. 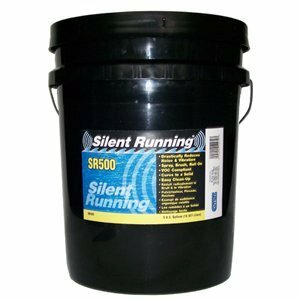 Consider our five-gallon pail of Silent Running SR-500 to ensure you don’t run out in the middle of your project. Silent Running SR-500 won’t chip or crack and can withstand extreme temperatures. It adheres well to metal and other surface materials like fiberglass and most plastics, making it another reason to use it in your car. Silent Running SR-500 can be applied to small, tough-to-reach gaps, holes or any spaces other soundproofing materials can’t get to. You can apply it to door or trunk liners, floor pans or use it in combination with other sound deadening materials for the ultimate quiet ride. Our RoadBlockR™ sound deadening material was specially engineered for premium auto soundproofing and reducing sound transmission in metal surfaces. It’s the ideal material for making any car feel like a luxury drive or enhancing the quality of your sound system. As a rubber-based sound dampening material with a polished foil facing, RoadBlockR™ is priced to be a cost-effective solution for your car soundproofing needs. It’s a highly flexible material that’s easy to trim for tiny unconventional spaces and features a peel-and-place application for simple installation. You might apply RoadBlockR™ to doors, floors and trunks for high-powered noise reduction. 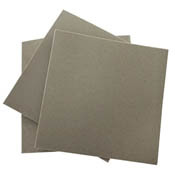 Our Vibra Block® sound deadening material is available as a sheet, strip or pad. Vibra Block® is a lightweight sound deadening material composed of a specially engineered vibration-reducing polymer. It’s the premier material for use on metal panels and enclosures and is the best vibration dampening material we offer at Soundproof Cow. Vibra Block® only requires you to peel the backing and press it into place, so it’s also easy to use. If your main soundproofing concern is rattling, whirling or other vibrating automotive sounds, Vibra Block® may be the material you’re looking for. Looking for budget-friendly car soundproofing products that don’t skimp on quality or performance? With Echo Absorber™ acoustic panels, you can listen to your moo-sic and have money left over for a smooth cross-country road trip. Our Echo Absorber™ acoustic panels are made from 80 percent recycled cotton, resistant to mold and effective at trapping heat. 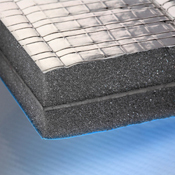 You can install Echo Absorber™ panels on any flat surface to reduce unwanted noise and improve overall insulation. So, the music in your car will sound better, and you’ll feel more comfortable when you take your car for a spin. We offer Echo Absorber™ acoustic panels in a variety of sizes, and you can also choose to buy them in cases of three, six, eight or fourteen. Car insulation and soundproofing products make a big difference in comfort and enjoyment when you’re cruising with friends or singing your favorite tunes riding solo. If you put a lot of time and energy into a quality sound system, or simply want a more relaxing and pleasant commute, soundproofing is worth every step. Here are the major benefits you can expect when you install sound deadening car materials. You spend a lot of time in your car. Shouldn’t you enjoy the ride? Long car rides with poor acoustics lead to headaches for travelers. Having to raise your voice to be heard over the sound of the car or listening to the constant noise of the engine leads to unhappy travels. A strange noise can indicate a problem with your car that needs to be addressed, but even the normal sounds of the car can be irritating, especially in older cars and on long drives. Soundproofing a car can minimize these sounds and make them much easier to deal with. Car soundproofing materials also make your ride more comfortable because it helps keep out heat from the engine and the road. Soundproofing materials provide better music sound quality so you get the most out of your sound system. There’s a good chance you don’t even know how good your stereo sound really is. If you’ve been letting your radio compete with all the noises you experience on your daily drive — from the sounds of the outside world to the various rumblings and grumblings your car makes — you may be missing out on some high-quality sound and not even realize it. Soundproofing cars with the right soundproofing materials can make you feel like you’ve put in a whole new stereo system, without the accompanying price tag. By using automobile soundproofing materials in your car, you not only reduce irritating noise from outside, but you also reduce vibrations. You get the luxury feel without having to spend tens of thousands of dollars on a luxury vehicle. There’s no question that higher quality cars sound better. You’ve no doubt heard the phrase “engine that purrs like a kitten.” The right soundproofing products can’t actually improve the quality of your car, but it can improve how quality your car feels. Car owners come to Soundproof Cow because they want to enjoy their ride. 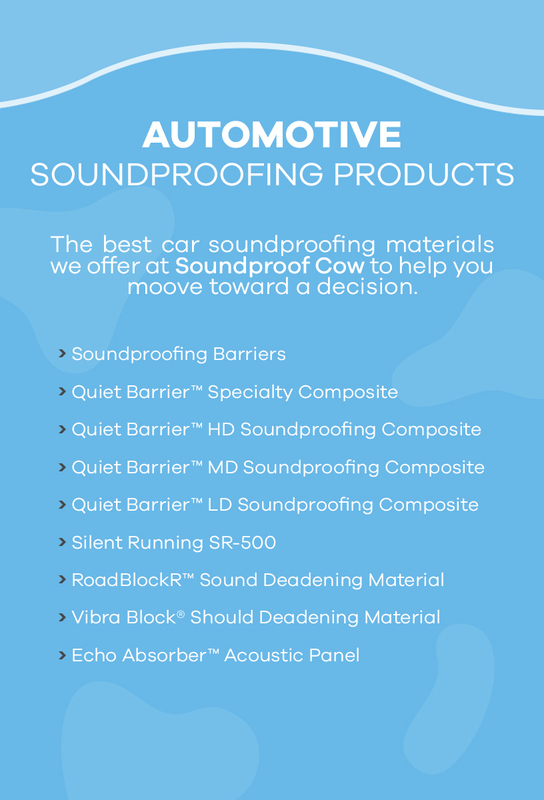 With our automobile soundproofing products, they can. If you spend a lot of time in your car, you likely value your privacy. You may not want the whole world to hear you when you’re talking to your boss on speakerphone, nor would you want outside noises to interrupt. You can also feel less guilty about listening to your music loudly if you like to cruise at night. Ready to reduce road noise and improve the overall sound quality in your car but still not sure where to begin? At Soundproof Cow, we’re happy to answer all of your soundproofing questions and direct you to the best material for your needs and budget. Fill out our Soundproofing Questionnaire Form to get started, or give us a call at 1-866-949-9269 for a fast solution. Some car sounds can be ignored, and some can’t. If you’re suddenly hearing a noise you’ve never heard before, especially if it is accompanied by some sort of reduction in ride quality, don’t take advantage of your new car soundproofing skills to ignore it. Take it to a mechanic as soon as possible and see if they can find the source of the problem, or you may end up with a serious repair job that all the car soundproofing in the world won’t be able to fix.